Zhiyun Smooth 3 : why do we like it ? Why don't we ? 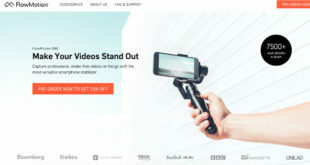 Home / smartphone gimbals / Zhiyun Smooth 3 : why do we like it ? Why don’t we ? 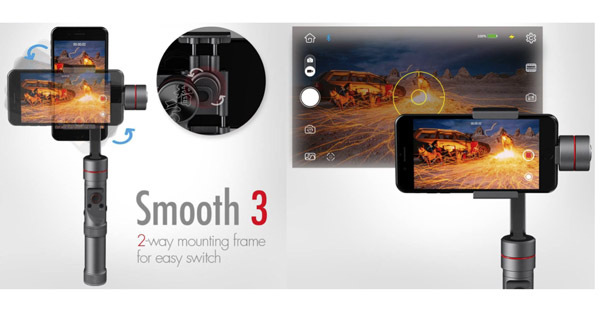 The Zhiyun Smooth 3 is the latest smartphone gimbal from ZhiyunTech, the world leader of stabilizer manufacturing. This product is to replace the Smooth 2 which has known a large success worldwide. Released almost in the same time than the Smooth Q, this gimbal is aimed at answering a very exigent demand. Indeed, this is definitely a high-and product with many assets and only few weaknesses. There are many many things we like about the Zhiyun Smooth 3. Indeed, this smartphone stabilizer is really willing to be seen as a reference on the market. 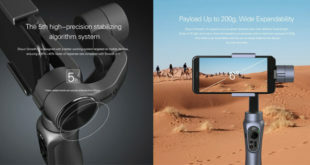 Its direct competitor, the DJI Osmo Mobile has now a serious opponent and the DJI’s gimbal is no longer THE reference for high-end smartphone stabilizer. And this seems really logical ! Indeed, the Zhiyun Smooth 3 really offers awesome performances. The first thing we really do like about it is its insane autonomy. Indeed, you’ll have 12 to 14 hours of battery life which is just incredible. Furthermore, we really liked the fact that we were able to recharge our smartphone while in use. The second thing that we really liked about this smartphone gimbal is its quality and reliability. Indeed, this is totally different than what we had with the Zhiyun Smooth Q. As a matter of fact, one is a high-end product whereas the other as a low-cost product. The difference is huge between the two ! Indeed, the Smooth 3 is made of high-quality aluminium and it really looks solid and robust. Yet, as far as quality and reliability are concerned, it is still not as good as the DJI Osmo Mobile. As far as stabilization is concerned, we were so pleased ! Indeed, this is definitely the best we have tried so far for a smartphone gimbal. Is is perfectly smooth and the footages are just too cool ! No matter the vibrations you may meet, they will be perfectly absorbed by the 3 very good brushless motors that make this smartphone gimbal. This is better than the Feiyu SPG or the Osmo Mobile which already offered something very likable. Here, you’ll be impressed by the quality of the stabilization. Furthermore, note that you’ll be able to mount a smartphone up to 260g (0,57lbs) which is more than all of its competitors. As if all this was not enough, we also really liked the numerous functions you’ll have with this gimbal. In addition to the usual panoramic, time lapse,… modes, you’ll have a little wheel on the side of your grip in order to have the control on quite a few interesting parameters. For instance, you’ll be able to modify the exposure, the white balance, the ISO level,… directly from your grip without having to touch your phone. This is really nice an innovation and we really have to say that we liked it. This is something that you won’t find with its main competitor, the DJI Osmo Mobile. 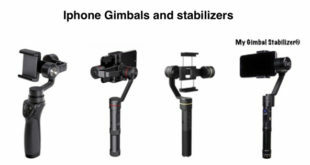 Yet, as you can see in our DJI Osmo Mobile review, this gimbal is still ranking first in our smartphone gimbal comparison thanks to very good grades in almost all of our criteria. Even though it is one of our favorites smartphone gimbal, it is, as always, not perfect. The first thing that really disappointed us is the controlling. Indeed, it is not as easy as what we would have expected. And, what makes it disappointing is the fact that the mobile application is really bad for Android users. We tested this smartphone gimbal with an iPhone and with an Honor 8, so one is under iOS and one under Android. There is a significant difference between the two for the time being. This is really too bad as many people nowadays are using Android phones. As we said in our Zhiyun Smooth 3 review, we truly hope that it will be fixed soon with a firmware update and/or with an update of the mobile application. Finally, as you can guess, the price is not as attractive than the Zhiyun Smooth Q or the Feiyu Vimble c. As a matter of fact, we are now with a very high-end product which wants to come over as a high-quality one. 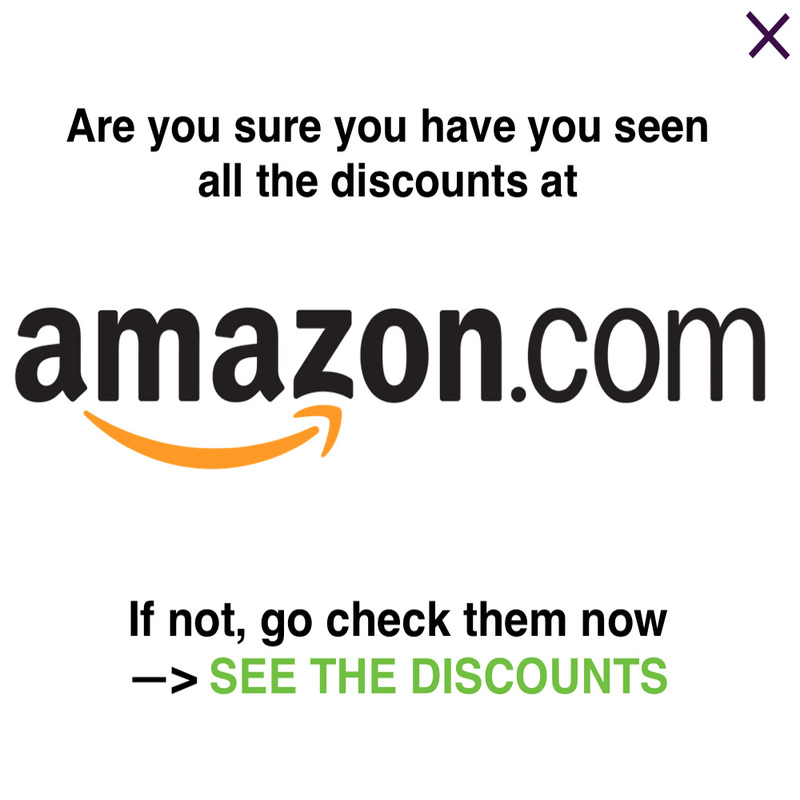 Therefore, the price is nothing but cheap. In fact, you’ll have to pay 300$ to get it. This is the exact same price than the DJI Osmo Mobile. This is further evidence that ZhiyunTech wanted to attack directly DJI with this very new gimbal. 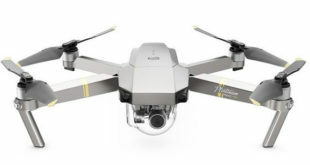 In the end, even though there are these two little weaknesses (the price is actually not a weakness, but something that we obviously don’t like… As everyone, we would rather have payed less…) this is definitely worthy of interest a smartphone gimbal.